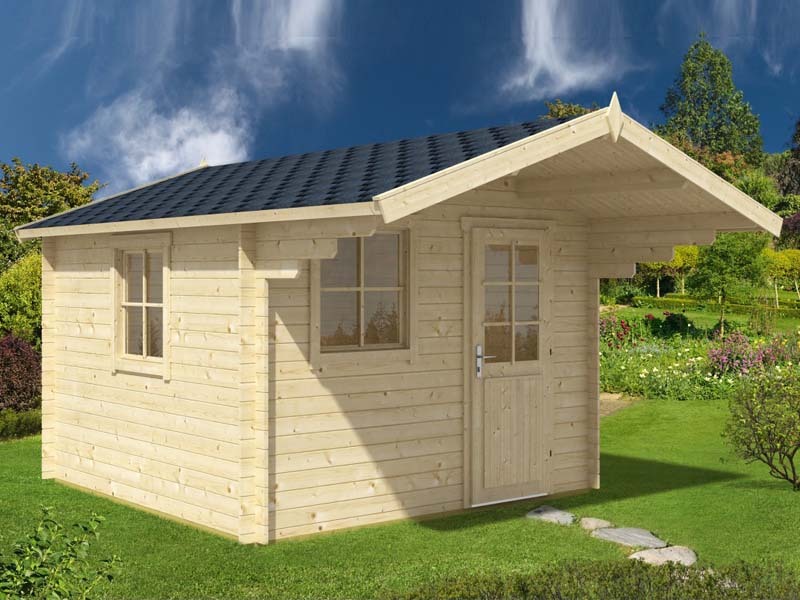 This little Charmer is the smallest log cabin kit in the range. 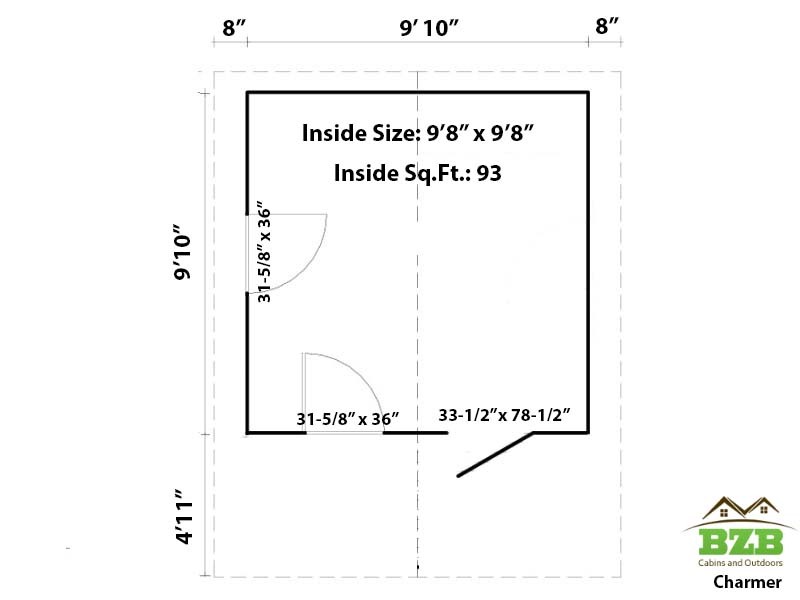 With its 93 square feet of inside space it is perfect for a small backyard. Fit it out with shelves and cupboards to store all your gardening tools and the lawnmower. Use the extra handy space under the 4’11” roof overhang, as you step out the front door, to pot your plants or enjoy a coffee while taking a break. 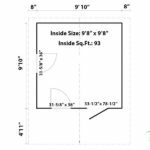 Single Pane Real Glass, 31-5/8" x 36"
This little Charmer is the smallest log cabin kit in the range and makes a good garden shed. 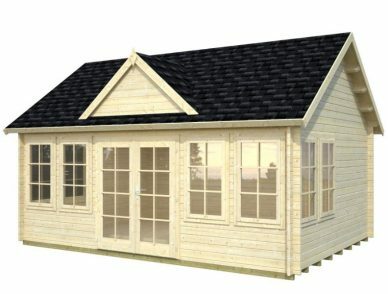 Maybe you are thinking of replacing that old, falling down shed or do not have a garden shed at all. Fit it out with shelves and cupboards to store all your gardening tools and the lawnmower. Use the extra handy space under the 4’11” roof overhang, as you step out the front door, to pot your plants or enjoy a coffee while taking a break. The Charmer also makes a great cubby house for young children. 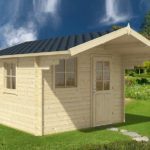 If you need a covered space, this cabin with 93 square feet is just the right size for the kids to paint, draw, setup a dolls house or a train set, or play with each other without cluttering up the house all the time. They can even play house and have parties of their own in a safe environment. 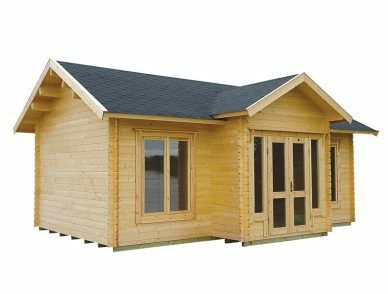 This cabin is of solid wood construction with 1 1/8” thick walls to protect you from the weather and is fully lined inside. Once you build the Charmer there is nothing left to do other than to set it up as a space to suit your needs. Two picture windows and a half glass door bring in plenty of natural light to add to the charm of this cabin. You could even convert it into a sauna to enjoy anytime. 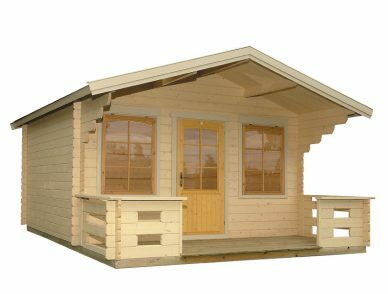 A handy do-it-yourself person can put the Charmer cabin kit together in just a couple of days. Order online for easy delivery or contact BZB Cabins and Outdoors with any questions.